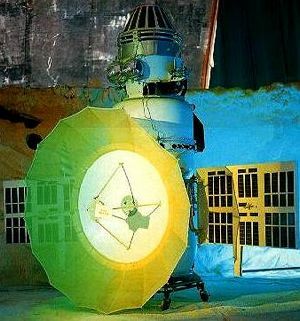 Russian Venus probe. Carried a TV system and scientific instruments. Mars flyby (Z. 2), Lunar flyby (Z. 3), Venus flyby (V. 2, K. 96) satellite, Russia. Launched 1964 - 1965. 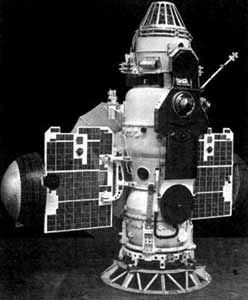 AKA: 3MV-4. Status: Operational 1965. First Launch: 1965-11-12. Last Launch: 1965-11-23. Number: 2 . Gross mass: 960 kg (2,110 lb). Family: Venus. Country: Russia. Engines: KDU-414. Launch Vehicles: R-7, Molniya 8K78, Molniya 8K78M. Projects: Venera. Launch Sites: Baikonur, Baikonur LC31. Agency: MOM, Lavochkin bureau. Bibliography: 2, 296, 4195, 4196, 6, 64, 65, 13334.